SAN JOSÉ, CA— In the year 2005, in Monterey, Mexico, where he was born, GABRIEL JACOBO MONTEMAYOR (Jacobo) went to see Finding Nemo, a Disney on Ice show. 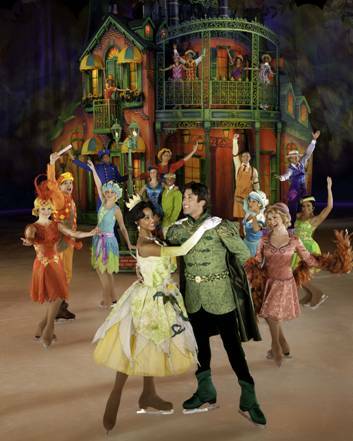 Hearing the songs and music, seeing the beautiful sets and costumes, and observing the masterful skating, made Jacobo aware that a professional ice skater, as he was, could also work in shows. In his case, Finding Nemo, helped him find the artistic part of himself. But let’s start his story from the beginning. 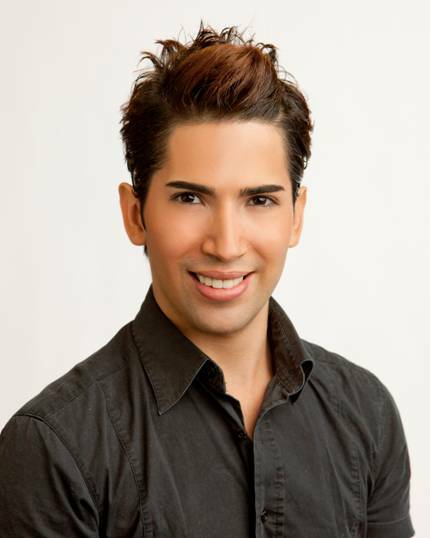 Growing up, roller skating was Jacobo’s favorite sport; it was, until he discovered ice skating at the age of ten. “I loved ice skating from the first time I saw it” Jacobo tells CULTURAL WORLD BILINGUAL in a phone interview before his arrival to the Bay Area where he will skate, in San José and Oakland, on “DARE TO DREAM” the new Disney’s on Ice show. His passion for the sport and all the extra hours of training paid off. By l999 Jacobo was participating in international ice-skating championships in the United States and in The North American Challenge Skate, a competence held in Mexico, Canada and the United States. In fact, he got so masterful in the sport that he began winning medals and represented Mexico in the Junior Grand Prix in Mexico and Montreal becoming the National winner in Mexico. J. M. “Ice skating is a sport which requires dedication, a lot of concentration and preparation. I train and train until I could do my routines even with closed eyes. C.W.B. What is a “routine”? J.M. “A “routine” in ice skating is the name given to the elements which are included in each skating level. Ice-skating has many levels: Basic, Pre-preliminar, Preliminar, Intermediate I, Intermediate II, Novices, and advanced I and II. This are the levels we have in Mexico, which are a little different than the Levels in the United States." “A “Basic routine” for example, includes: to spin in one foot and to spin using two feet. A jump of half spin, you get the idea. As you advance, each “routine” gets more difficult. For example when you start, when you spin you may do half spins, or complete spins, but as you advance you go to “triplets,” and “double axle.” Routines that one learns as you advance in your career as Ice-skater. J.M. “It is an spectacle which combines the Classical princesses with the the modern ones, the princesses of Disney: Triana and Rapunzel and a princess from a classic fairy tale, Cinderella. The show presents the stories of these three princesses who dared to dream and must face many adventures in the process of chasing their dreams. I believe that the reason we have three different stories is to allow the people in the audience to identify with the characters in the show. “Another of the stories is the one of the Princess Rapunzel, another Disney’s princess, whose dream is to be able leave the tower where she had been imprisoned for years, and go out and explore the world. She is also curious. She wants to learn the reason why there are beautiful multi-colored lights lit on her birthday every year. (She does not know their purpose is to try to find the missing princess, who is she." “As you can see, these are three different dreams, but if one analyzes them many people, in today’s world can easily identify with them. There are many people like Cenicienta who are looking for love, or open their own business or get out of their rut, and see the world." 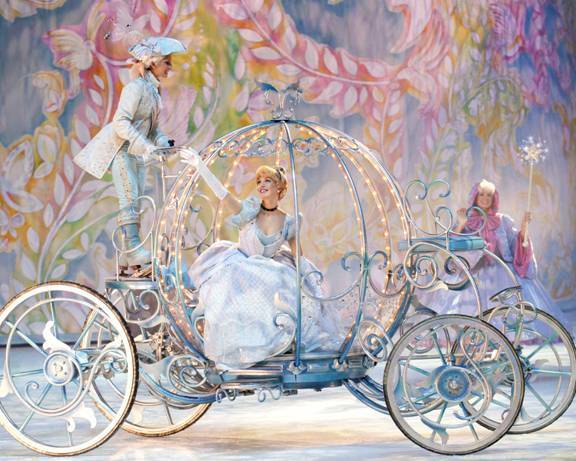 "Different in this show, is that unlike other Disney on ice shows that present several short segments from different stories this one tells the thee stories of three princesses complete." C.W.B. How did you get to skate in “DARE TO DREAM? J.M. “Last Summer, when I was skating in Ecuador with Disney on Ice, I was asked to join the cast of “DARE TO DREAM” in Mexico City. I remembered that five years ago I had applied for a job with Disney when I was still living in Monterey, this was before I graduated from the University (he is an accountant) and went to skate in Europe. 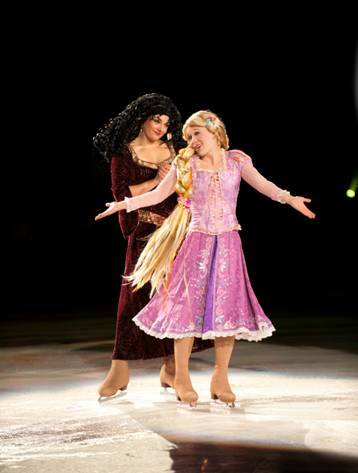 Last Summer, after all these years touring, I returned to Mexico and Monterey but this time I was no longer dreaming of becoming an ice skater, I was skating with Disney on Ice in DARE TO DREAM, one of his most beautiful shows in my opinion." C.W.B. Do you have something to add? J.M. "I would like to tell the public that this is a show for the whole family and that like most Disney’s stories it has a message which is: Dare to dream, but if you want to make your dreams come true, you need to work very hard."